Will an SEC team win the national championship for the 7th year in a row? Yes. 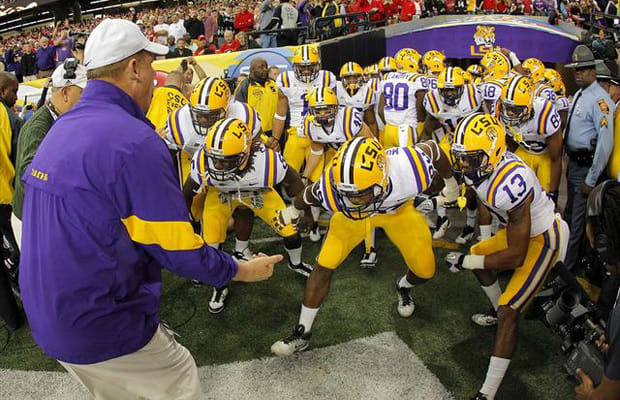 I like LSU even without [Tyrann] Mathieu. They are talented enough to fill in even though they'll miss him. Alabama has a good chance to grow. Oregon looks at most likely to be the team to win it if an SEC team doesn’t. USC's depth issues will creep on them because they are staring the season with 70 players. Michigan State could slide in there. They were close last year, closer than what people realized.